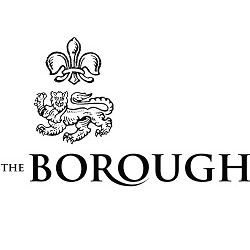 In March 2006 The Borough opened its doors to the people of Lancaster with the promise to serve honest, quality, locally sourced produce at reasonable prices in beautiful surroundings. There has been a watering hole here since the merchants of Lancaster conducted their business on this very spot when Lancaster was a thriving port. This grand Grade 2 listed Georgian building with Victorian frontage has had many uses from the Mayor of Lancaster’s house, to a working men’s club, known as “The Borough Club” which closed in 1993. At the core of our business is our promise to you to serve local produce and, wherever possible, purchase from local suppliers directly. We firmly believe in supporting our nearest and dearest, all our chicken and eggs are free range; our beef is 45 day aged from local farms in the surrounding hills and valleys. We try, wherever possible, to use local and independent suppliers, keeping our carbon footprint low and our local economy buzzing. We serve food all day from 9am everyday selling breakfast, Lancashire specialities and pub classics. Our Sunday lunches are legendary too! For our dedication to local produce we have been given a Taste Lancashire Award for 2 years running. For our fine ales, we have been in the ‘Good Beer Guide’ every year since we opened and have won a Camra award. We are also the only place in Lancaster to be recommended in the ‘Michelin Guide to Eating Out in Pubs’ for 2009 & 2010. We have won an environmental award for our efforts to save the world we live in. I was served a very flat glass of prosecco by a female waitress. I called over a male waiter as soon as I noticed. Rather than apologise his response was “I just saw her open a fresh bottle? !” I am familiar with the sound of a bottle of fizz opening and I hadn’t heard it! The pub was very quiet at this time. A few mins later we heard the sound of a new bottle opening, the waitress brought it over and apologised. I know a fresh bottle is not opened for every glass but the first glass was very flat and more than anything I was annoyed at the waiters obvious lie and lack of apology! The waitress gave very good service throughout the meal and the food was good. Was lovely as always. Very efficient service and enjoyed a free bottle of bubbly as it was free with 2 mains. Highly recommend! Lovely Sunday dinner. Really helpful friendly staff, leftovers packed up nicely to take away and two free bottles of wine! Would definitely go again. Quite good for vegetarians too. Superb service ! From the moment we walked in to the bar, the staff were extremely knowledgeable on various ales, and even made some suggestions for us to try. Restaurant staff were exceptional,food itself was beautifully cooked and presented,as we had asked for it ( we had two steaks) contrast attention for drinks, correct cutlery and even clearing the table. Young man who was our waiter was both very pleasant, friendly and polite and made sure that we had a lovely evening meal.Even as the restaurant was closing the staff didn't rush us and took time to make sure that we had finished off our coffees.Beautiful venue, staff really do make the Borough great place to eat and drink! 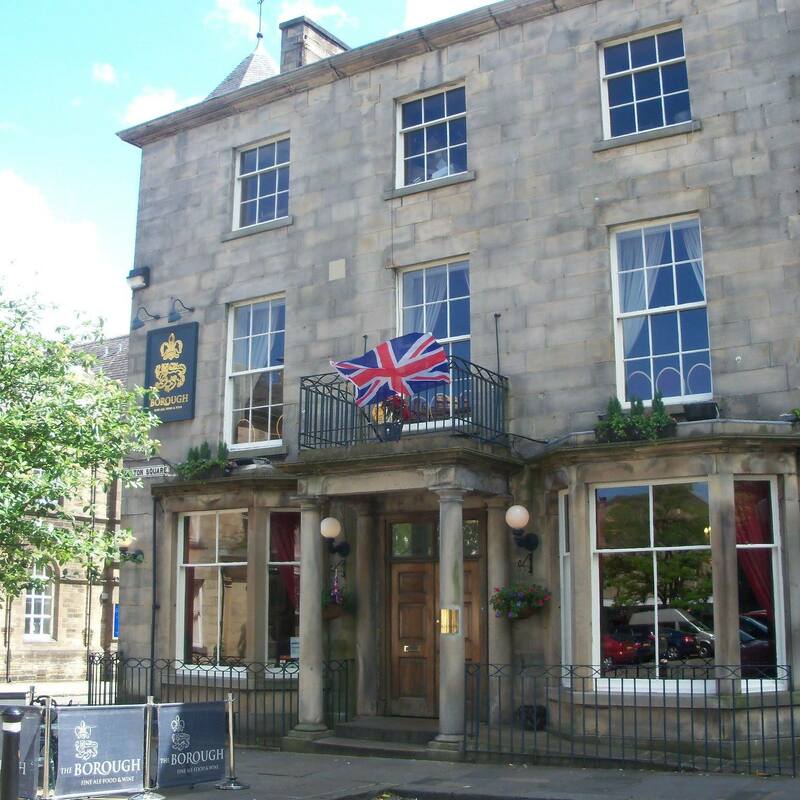 Lancaster gem is that is that this pub keeps the quaintness with exceptional service. Must go to destination. Staff and service were excellent, as always. See you again in May for our next booking! Thank you for helping make it such a lovely Mother’s Day! I came here for a birthday meal with my family. Food was good. Atmosphere was pretty good too. I seemed to get told off by the bar man for daring to go to the main (pub) bar to get a drink. I was told I should just do this through my waitress / waiter in future. Okaaaaay. So where's my waitress gone? Anyone seen her?! Anyway, overall the service wasn't brilliant, which is always a problem at this place. We were vaguely thinking of getting dessert, but our waitress had to deal with a large party of people who had just arrived as our main course was finished. We didn't fancy waiting 40 minutes for a dessert, so I went to the counter to settle the bill. And waited. And waited. 5 / 10 minutes later, I finally had the bill paid, and was THEN told that I was entitled to a free bottle of wine, having ordered two main courses. Oh, really?! Why wasn't I told this when ordering my food? Odd. Still, so long as you make allowances for the poor service, everything else is great here. I would happily recommend this place (with the caveats above). Excellent service, lovely food, very nice staff. Thank you for a lovely Mother’s Day. After discovering The Borough’s Excellent Roast Beef Sharing Platter we have been twice in two weeks. The roast beef is perfectly cooked with plenty of gravy for the two of us (although Lewis offered more should we want it!). The accompanying veg was tasty and hot and the roast potatoes and cauliflower cheese were simply delicious. The cottage pie in addition is a very nice touch. Can’t fault the service from the waitress (sorry, didn’t catch her name) and the food came out in a very reasonable time. Drinks service was spot-on and we moved through to the bar area where we stayed for over an hour enjoying the atmosphere and excellent choice of music which suited the venue perfectly. The pub was busy with a lot of people coming to enjoy the comedy club upstairs. We will definitely be back in the near future!! Thankyou to Gary, Lewis and the team. Would have preferred plates at breakfast rather than the cast dish which made it difficult to cut the food. Nothing wrong with the food which was excellent and the bacon exceptional. The food and service we got were great but I was very disappointed by the limited vegan menu. I’d specifically looked up the menu the day before to check the vegan offer and was delighted to see a separate vegan menu with a lot of choice. I was disappointed when the waiter told me it had now been removed. He said the vegan menu had been included in the full menu but the choice was much more limited. I’m not sure why you’ve done this but increasing the mains choices for vegans would be very desirable. Having said this we really enjoyed our meal - just had a lot less choice than expected. Thank you so much for a wonderful Sunday lunch. Food was lovely and the staff and atmosphere was perfect. Can't recommend more highly. Special thank you to Gary and Molly. It isn't easy dining out with a 4 month old little boy who was too warm and over tired (my only criticism is it was very warm!) Gary  very kindly let us into the empty function room to calm our son down in a cool and quiet room and kept my dinner warm for me whilst I was doing this. Molly was very friendly and attentive. Friendly, professional service and wonderful food. What more could you ask for. Simply brilliant. Food delicious and their being a vegan menu was really interesting. I wound have liked a salad or a bit of veg with my burger. All staff were very pleasant and helpful. Many thanks for looking after us again.